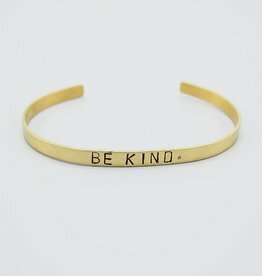 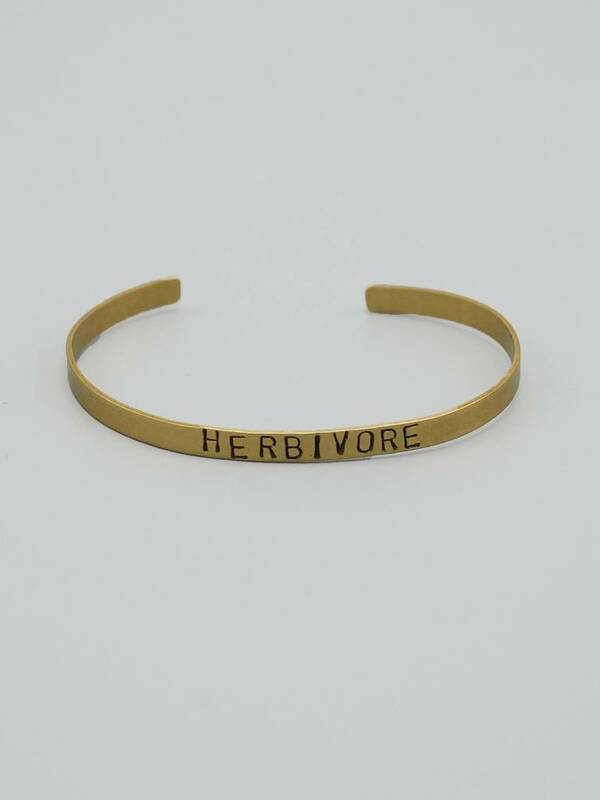 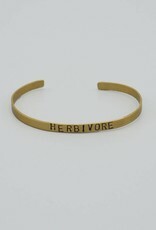 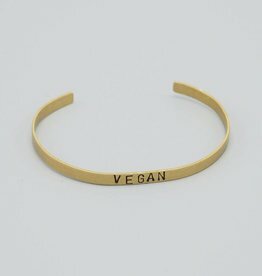 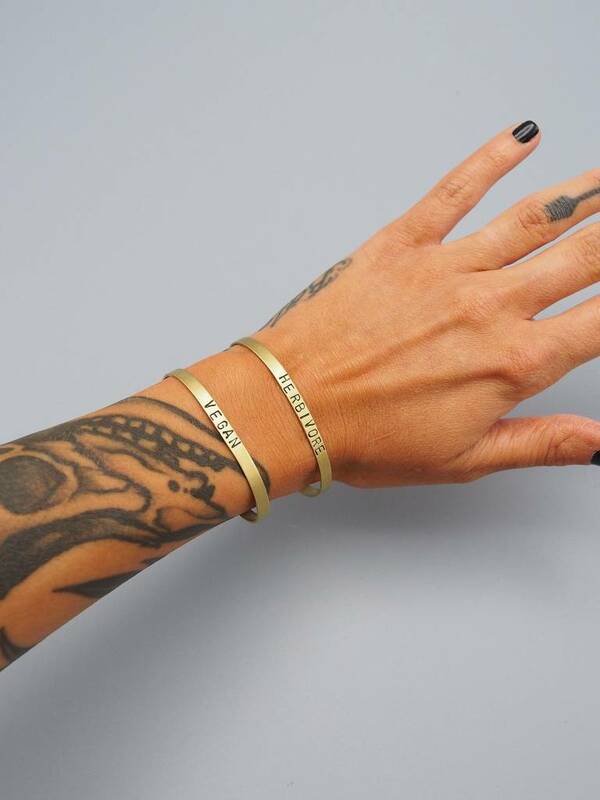 This gorgeous hand-stamped brass bracelet will surely impress all your friends or make a nice gift for a loved one. 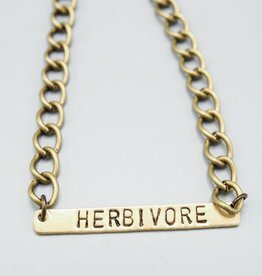 Approximately 1/8" and adjustable. 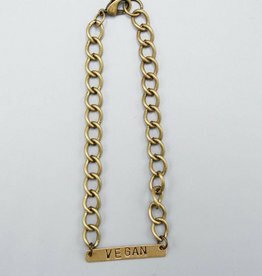 Made by vegan hands in the USA!! 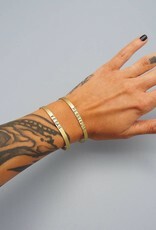 Looks great paired with our other cuffs!